Co-op gamers really enjoy Little Big Planet - slapping friends, building levels, and getting additional unlockables in co-op specific areas. 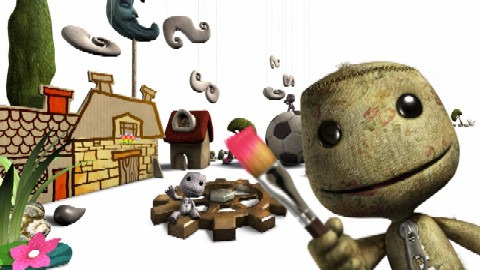 Little Big Planet has since gone portable, and we've taken a look at about 2 minutes of PSP play time. While carrying over the things that made Little Big Planet wonderful, the portable version seems to be lacking a few of the key control components. You're still able to build levels through co-op, and play together - which are both important aspects that make Little Big Planet what it is. However, co-op or not, this game on the PSPGo just looks uncomfortable. This is disappointing for fans of the series that would certainly enjoy more Little Big Planet time, myself included. Even with the upgrades to the PSP, their controls are simply too cramped for comfort. Choose Your Own Co-Op Classic! Remember Back When Sonic the Hedgehog Was 2 Player?